No matter how fit a person is, he/she may fall sick due to environmental or genetic factors. There are solid pieces of evidence that a person may suffer from the same disease that one or both of his parents did. If this is not the case, a person staying in a heavily polluted metro city may contract from various types of illnesses. You can cut down the risk of suffering from a major illness by keeping yourself fit. The best way of keeping oneself fit is to exercise regularly and adopting a healthy diet. If going out for a walk or spending 1 or 2 hours working out in the gym is not your cup of tea, you should keep yourself active in the workplace or apartment. Fitness goals are not accomplished in a single day. However, if you a keep track of your daily activities, you can achieve them easily. Frankly speaking, it is impossible to count the steps you’ve walked and calories you’ve burned manually. You need a smart wearable device to do so. Smartwatches from reliable companies are expensive, but fitness bands aren’t. The price of branded smartwatches in India starts at 5000 Rs. Smart fitness bands are inexpensive. You can buy them for below 2000 Rs. Bands from companies based in the USA may cost above 6000 INR. Fitness bands are great gadgets for tracking daily activities, heart and pulse rate, etc. Several companies have launched fitness bands in India, but only the ones mentioned below are accurate and worth the money. HW01 from Lenovo was launched in May last year. Within 15 months, it has become the top-selling fitness band in India. The band is popular because it provides a heart rate sensor and many more features for a nominal price tag of 1400 Rs. HW01 is a band that users can pair with their Android or IOS powered mobile device to sync fitness data and get notifications for WhatsApp, incoming/missed calls, Facebook, etc. Lenovo HW01 can function as an activity tracker as it features an accelerometer sensor and calorie counter. HW01 is built with Silicone and it is splash/water resistant device. It packs a lithium-polymer battery which stores 5 days of backup power. This device has an OLED display and Bluetooth 4.2. It is the best fitness band under 2000 Rs. Intex, one of the leading consumer electronics firm in India had launched its Fitrist Pulzz fitness band in 2016. Pulzz is a beautiful fitness band/activity tracker that ships with a heart rate sensor. It is water-resistant and has a 3-axis accelerometer. The band features a silicone frame and it provides an OLED screen. The battery in the Pulzz Fitness band takes up to 2 hours to get charged. It offers an impressive backup power of 7 days. Intex Fitrist Pulzz can make you aware of the latest notifications on your Android or IOS device. It supports connectivity with Bluetooth enabled handsets and tablets. Mi Band was tested in extreme conditions before Xiaomi launched it in 2016. It can operate within -20 and 70 degree Celsius temperature. The band will remain undamaged if the user accidentally drops it from a height of 1.2m. When it is paired with a smartphone, MiB will display alerts on incoming calls, new WhatsApp, Snapchat, Instagram Facebook messages, etc. Mi Band employs alloy sensors and it boasts a silicone body. It tracks your steps and monitors your sleeping activity. It has a built-in alarm function. Mi Band is a cheap fitness band from Xiaomi. It is a good alternative to Lenovo HW01. Mi Band is available for purchase in 5 attractive color options for Rs 1300. Huawei Band 3 is a water-resistant fitness band equipped with a heart rate sensor. HB3 weighs about 22 grams. It has a caller-id utility and phone notifications reader. 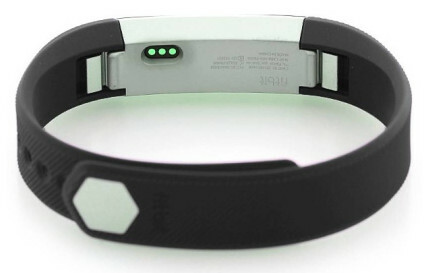 The band offers an impressive battery backup power of up to 30 days. It is powered by the Huawei TrueSleep technology, which tracks the user’s sleeping pattern accurately. Honor Band 3 can read GPS tracking data on the phone. Hence, you can see the route you’ve taken for walking or running on a map. Users can pair HB3 with Huawei Wear app running Android or IOS devices. Honor Band 3 is available in Black, Blue and Orange color option for 2700 Rs. FastTrack is a sub-brand of Titan Industries, the watch manufacturing unit of Tata Group. Titan has launched several products under the FastTrack brand. Reflex is the company’s smart wearable device. It is a smart band made of leather and silicon. The wearable device supports 24-hour and 12-hour time format. It tracks the number of steps you’ve walked and calories you have burned while exercising, running, walking, etc. This device lacks a heart rate sensor. It supports Android and IOS operating systems. The Reflex fitness band from FastTrack is priced at 1500 Rs. Fitbit is a globally renowned brand that has several wearable devices in India. Alta is a stylish fitness band from Fitbit that costs within 8000 to 14000 INR. Built with plastic and rubber, Alta features a vibrating motor and a 3-axis sensor. It is a shock resistant device. The fitness band keeps a track of the calories users have burned during a workout and distance they’ve walked/run. It can also monitor your sleep patterns. Fitbit Alta flaunts a backlit enabled OLED display and carries a lithium-polymer battery. The fitness band weighs 25 grams and it supports wireless connectivity via Bluetooth. Lenovo HW01, Intex Fitrist Pulzz, Xiaomi Mi Band, Huawei Honor Band 3, FastTrack Reflex and Fitbit Alta are the best fitness bands you can buy in India. Previous articleKaspersky vs Avast vs BitDefender: Which is the best security software?